This neurological condition is caused by problems in the part of the brain that controls muscles. One in 400 people are born with Cerebral Palsy. 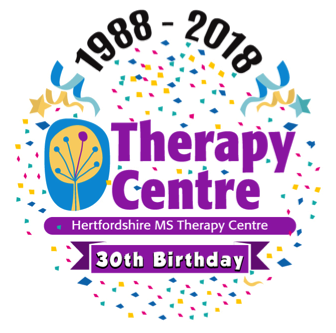 The Herts MS Therapy Centre in Letchworth, Hertfordshire aims to help people with any long-term or neurological condition. Free test sessions of Oxygen Therapy are available. To find out more, visit our Oxygen Therapy page. Book your free test session by contacting Claire on 01462 684 214 or email enquiries123@hmstc.net. 2018 was our 30th birthday. We enjoyed a series of celebrations. Get involved with this year’s events!